Building blocks and puzzles are cool! 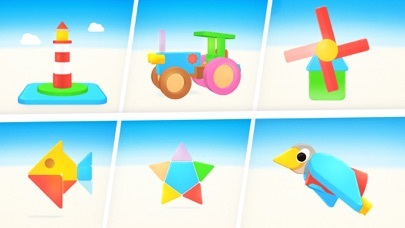 With this app, young children can solve over 200 tasks and games. The levels have been specially developed for children between 2 and 5 years of age. All levels build on one another. Children can directly apply what they have learned and deepen their knowledge through repetition. 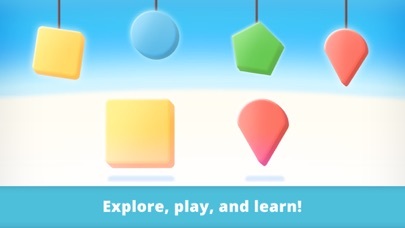 ▶ SHAPES In a first step, children learn to distinguish simple shapes: triangle, square, circle, ring,... Then it gets harder, as different sizes and trickier shapes are added. ▶ COLORS Colors are very important! The levels are complemented by different colors. Learning has never been so much fun! ▶ COUNTING Even small children can learn to count! The app encourages this skill in a fun way. 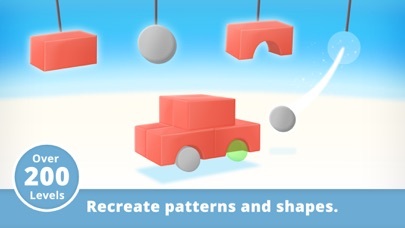 ▶ RECREATING PATTERNS Building a car out of blocks? Great fun, and a way for children to apply what they have learned: Which building blocks do I need? Does this color fit? Which shape is right? The patterns and the 3D stage can be rotated and moved in order to assemble them correctly. 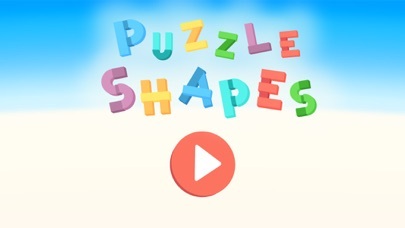 ▶ 2D and 3D levels The special highlight is 2D and 3D shapes. Children learn, for example, to distinguish a square from a cube, thus training their spatial thinking skills. This app can help children in particular with: ▶ Improving their motor skills: Our goal was to give children the most “real” gaming experience possible. Playing with the building blocks should feel as “real” as possible for them. We have developed the controls especially for small children's hands. ▶ Promoting and consolidating logical thinking: Children learn to distinguish and match different shapes, colors, and sizes... ▶ Training patience, imagination, and concentration: Which building blocks are needed to recreate the car? 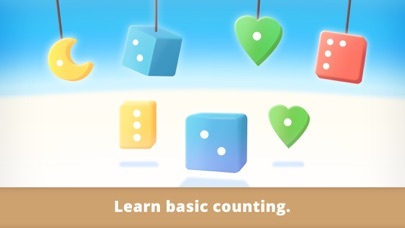 ▶ Learning basic counting: Even small children can learn to count. The app encourages this skill in a fun way. ▶ Developing spatial vision and thinking: Children learn, for example, to distinguish a 3D cube from a 2D square. 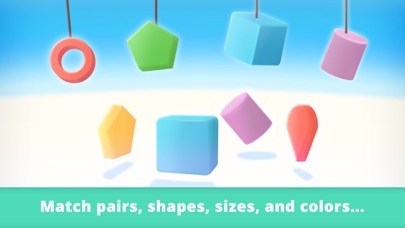 In the difficult levels, 3D shapes must be recognized and assembled. WHAT ELSE? ▶ The app can be downloaded free of charge. If you like what we do, then please support us by purchasing the full version. Thank you. ▶ No advertising. ▶ No text, no pop-ups, easy navigation specially for children. ▶ No nonsense, only playing and learning. ▶ Suitable for children from 2 to 5 years of age.